What Makes Trendy Butler Special? 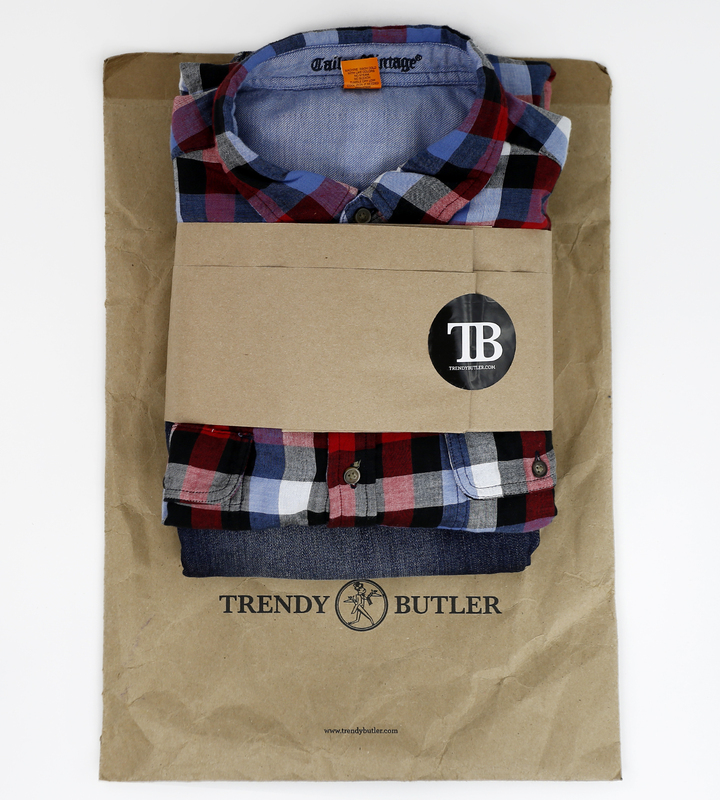 Trendy Butler is a monthly men’s apparel subscription service. They are similar to Fashion Stork and Trunk Club in that they send clothing from well-known brands, but they also dig deep to find fresh new fashions from up-and-coming designers. The process is similar to all of the other companies in the men’s clothing subscription space. First, create a style profile so that (second) the stylist can select clothing items which (finally) get shipped to you. The website provides seven examples boxes to show prospective customers what they could receive in a given month. “Example Box 1”contained a button-down shirt and joggers totaling $161. One reviewer received a sharp zip-up fleece-lined sweatshirt. It was fashionable enough to be worn as a sweater. The reviewer was unfamiliar the brand (Cohesive & Co), so she looked it up and found that it was sold a high-end department stores like Bloomingdales and Nordstrom’s, and is not cheap. Furthermore, her husband, who is a finicky dresser, loved the sweatshirt and immediately started wearing it. Review after review of Trendy Butler reveal that customers are receiving quality, stylish clothing that are an extremely good value. The $150 guarantee was maintained for all the reviews I read. It is rare to find a subscription service with such a high rate of positive feedback. That is not the case with most other men's subscriptions services in this space. That made me trust Trendy Butler right away. I know these companies are keeping people from gumming up their websites with user profiles that never get to the level of subscription, but it feels like they are hiding something when I have to type in credit card information before I really fill anything out about my fashion preferences. Upon clicking the “Get Started” button, you are given three choices regarding your current style: Casual and Stylish; Work Hard, Play Hard; or Diverse Taste. Casual and Stylish fit the bill for me. Next it was time for color selections: blacks and greys, beige and blues and browns, or red and orange and purples. Middle-of-the-road mellow for me. I selected Mr. Nice Guy (beige, blue, grey, pink, brown). Next: Plain, Graphic or Variety? I didn’t have a huge preference, so I went with variety. Finally, top size and bottom size. Check and check. I was all ready to go. I received my first package in about a week and a half. It contained three items with a total value of over $200! The first item was a flannel shirt from Jachs Mfg Co, a company I had never heard of. Cream, navy, and a deep red. The size and fit were right on. Very cool shirt. Next was an olive thermal shirt to layer with the flannel by Rogue. Again, great size and fit and, of course, it went very well with the flannel shirt. To top it off (literally), they sent a grey, zip-up hoodie by Kinetix (a company they draw from often, I have learned). As with the other two items, sizing and fit were perfect. I have to admit, I canceled my subscription with Fashion Stork as soon as I had such a favorable experience with Trendy Butler. The price and quality of the items the send are second-to-none. If you are in the market for a men’s clothing subscription service (and even if you aren’t! ), I enthusiastically recommend Trendy Butler. 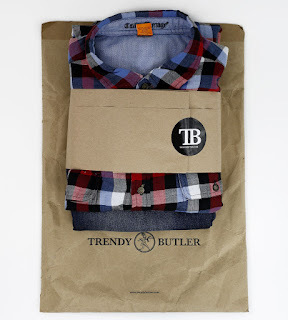 I think you will like them also, check them out at www.trendybutler.com You will find the website and interface are easy to use and most importantly the clothes are 100% on point.